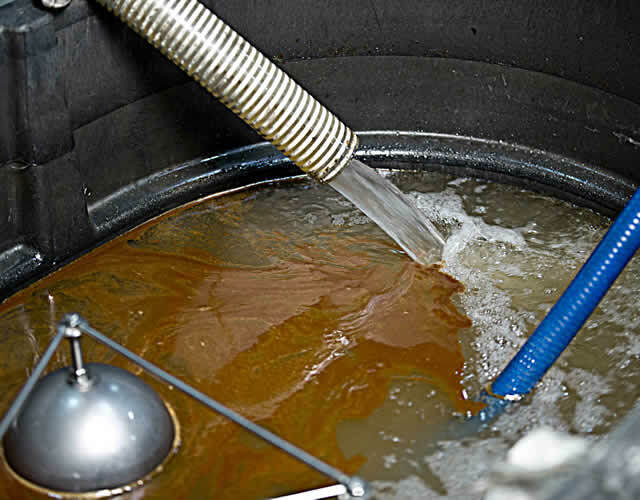 Typical Tank or Pit Installation Continuous separation at flows up to 15 GPM of tramp oils from coolant, mop water dump stations and vehicle washdowns. 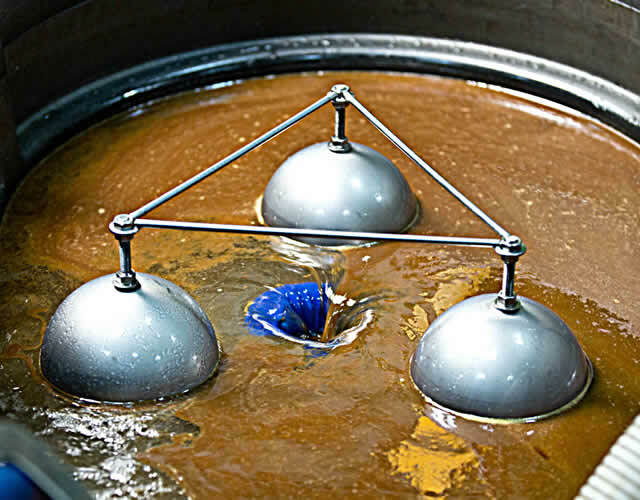 Remove Recover Reuse Remove the Fat Oils & Grease while discharging clean water. 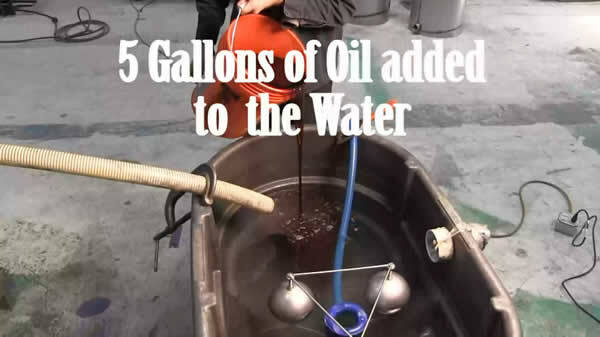 Recover the oils and reuse the water. 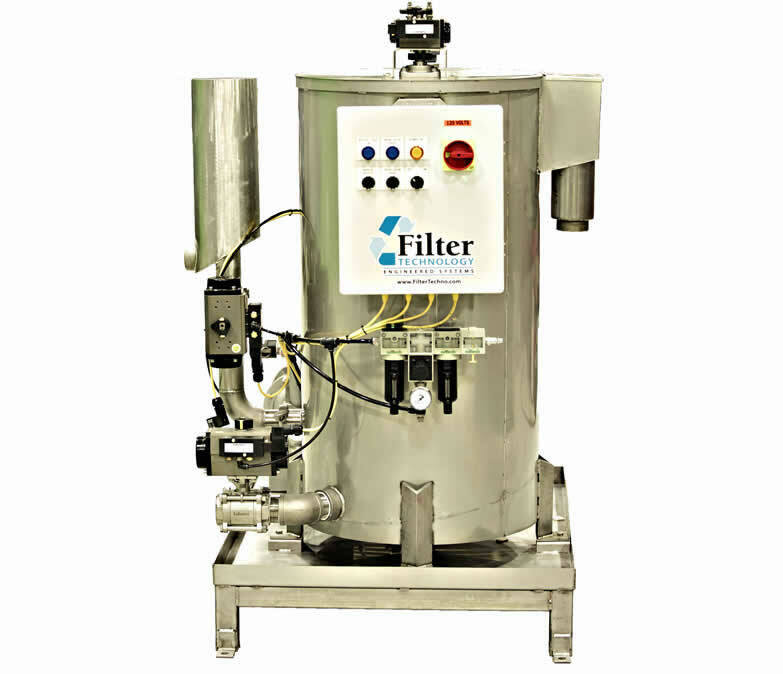 In Stock for Immediate Delivery We stock both Automatic and Manual units along with the floating skimmers and accessories. 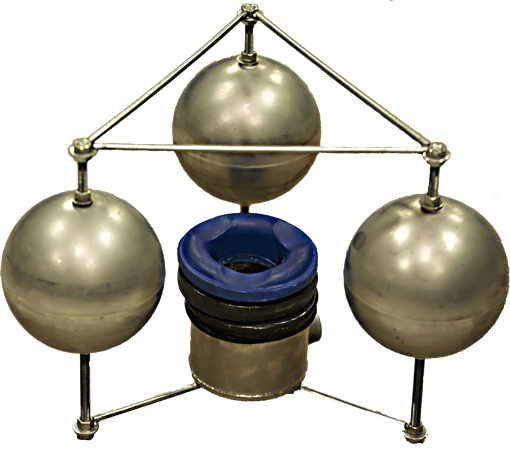 High Concentrations of Oil – The FATBOY will handle an accidental ingress of 100% oil or fuel. Effective Cleaning – The FATBOY can clean itself of settled solids, chips and fines as well as oil and grease. 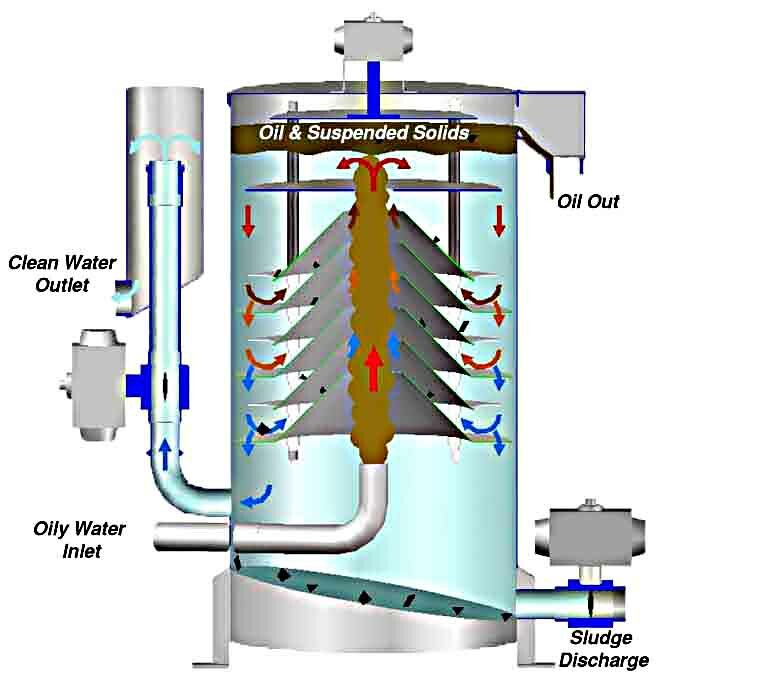 Efficient Removal of Suspended Solids – The suspended solids are encapsulated by oils and rise to the top of the separator for discharge with the oil. 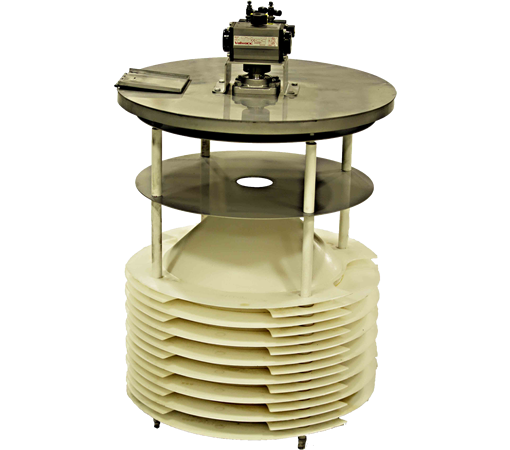 Fatboy Automated Cone Assembly with over 85 square feet of surface area.